As time goes on, hipster neighborhoods evolve. What’s cool one year might not be as popular the next, once prices go up & artists, musicians, and small business owners start to get priced out. In New York City, Bushwick has supplanted Williamsburg as the hottest hipster area. The neighborhood is especially known for having some of the best street art in New York City. That alone makes Bushwick worth trekking out to, but plenty of restaurants, bars, and coffee shops have also popped up in the area. 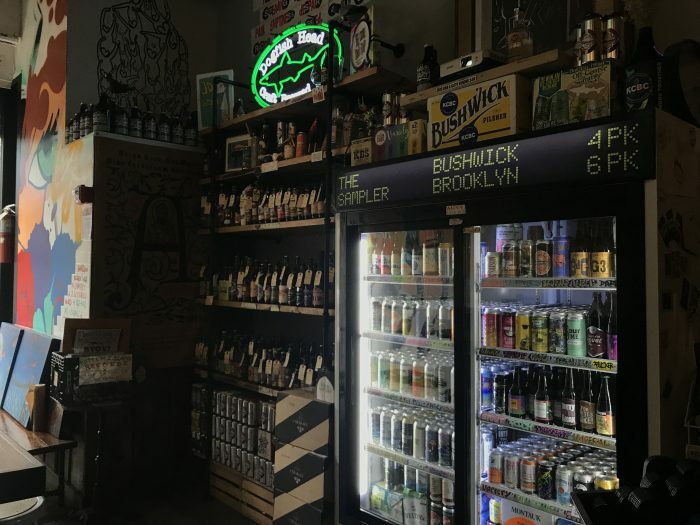 At the moment, there aren’t a ton of craft beer bars in Bushwick, but here are a couple that stand out. Bushwick was once home to one of the largest collections of breweries in the United States. However, thanks to Prohibition & other factors, the breweries all closed, and for over 40 years, Bushwick was quiet. 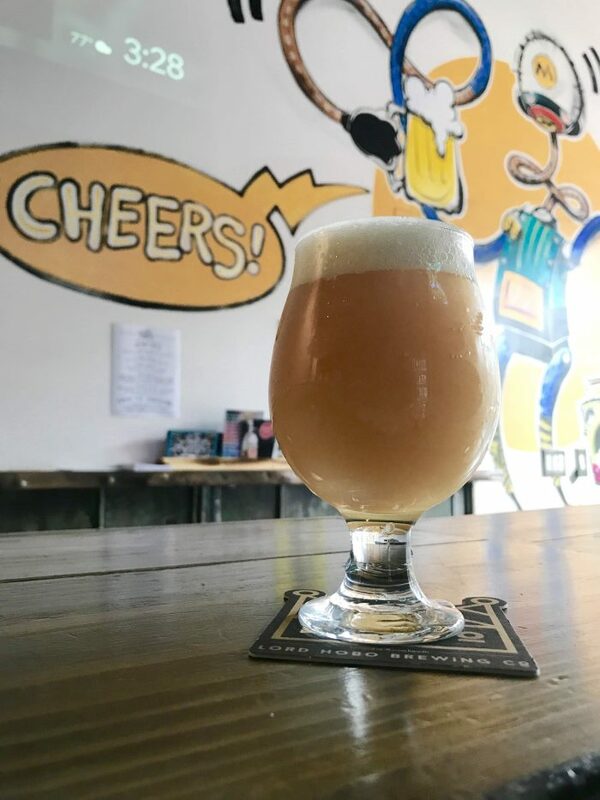 Kings County Brewers Collective has changed that, bringing brewing back to a neighborhood once called “Brewer’s Row”. The bar is a big, airy space, with large windows looking out onto Troutman Street. Kings County Brewers Collective was opened in 2016 by three friends: Tony Bellis, Pete Lengyel, & Zack Kinney. 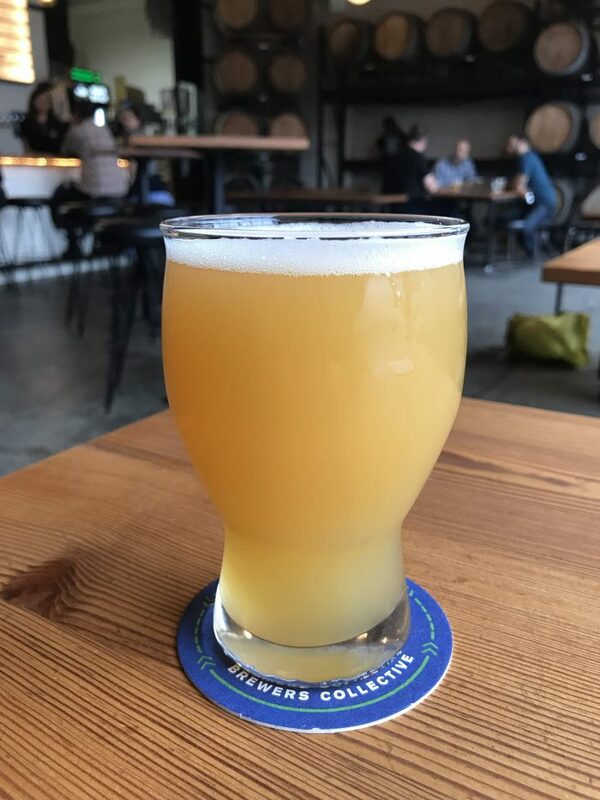 The friendship of the three has extended even further beyond the collective, as they are frequent collaborators both with other brewers, local businesses, and artists. One of their 12 taps is going to be dedicated as a “Local Talent Tap.” This tap will feature one-off, small batch collaboration beers with friends & neighbors. A portion of the profits from these beers will also go to help local non-profits. 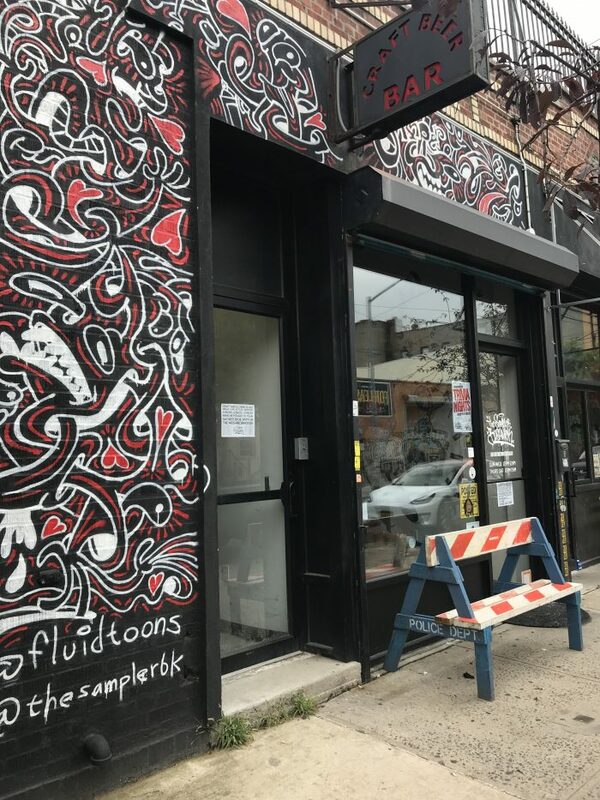 The Sampler is where Bushwick’s street art scene meets craft beer. Like many other buildings in the area, the front of the bar is covered in art. Inside, you’ll find even more art. When I visited, a new art show was being installed. It’s a cozy spot, so I kept apologizing for being in the way. 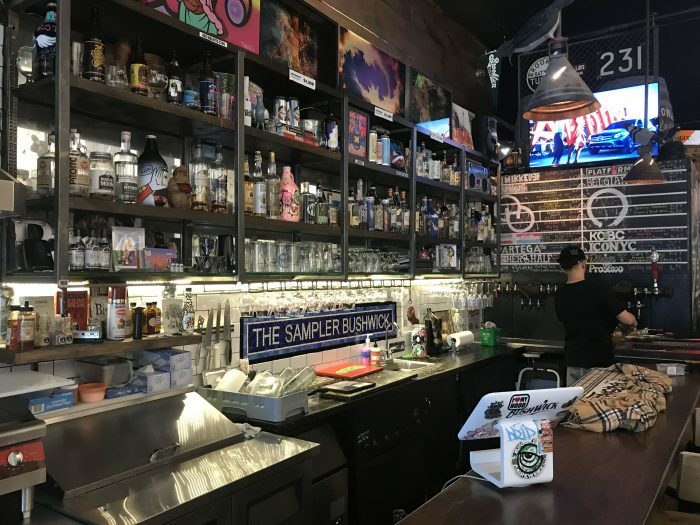 The Sampler has 20 rotating taps, plus a selection of hundreds of bottles & cans. There’s plenty of local beer, along with a selection of hard-to-find beers from elsewhere. It’s a cool bar, even on a quiet weekday afternoon. 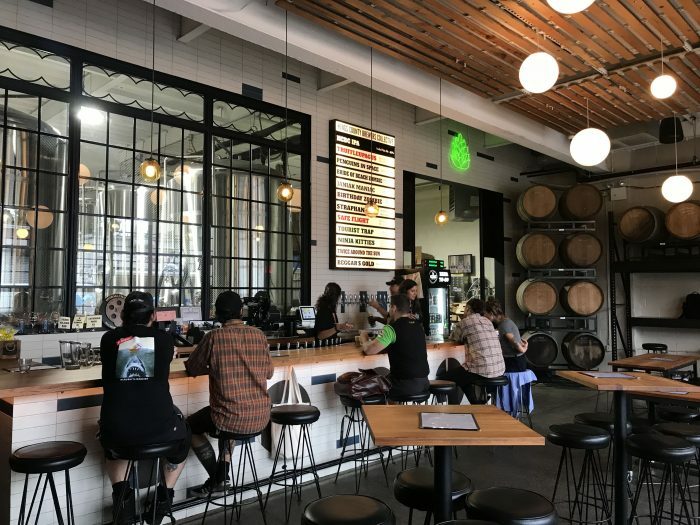 I’m including Momo Chicken Shack on this list not for its craft beer selection (though there are a handful of local craft beer taps, cans, and bottles). I’m including it because it was a perfect stop for a snack in between these two bars. Momo Chicken Shack has a unique take on chicken & waffles. 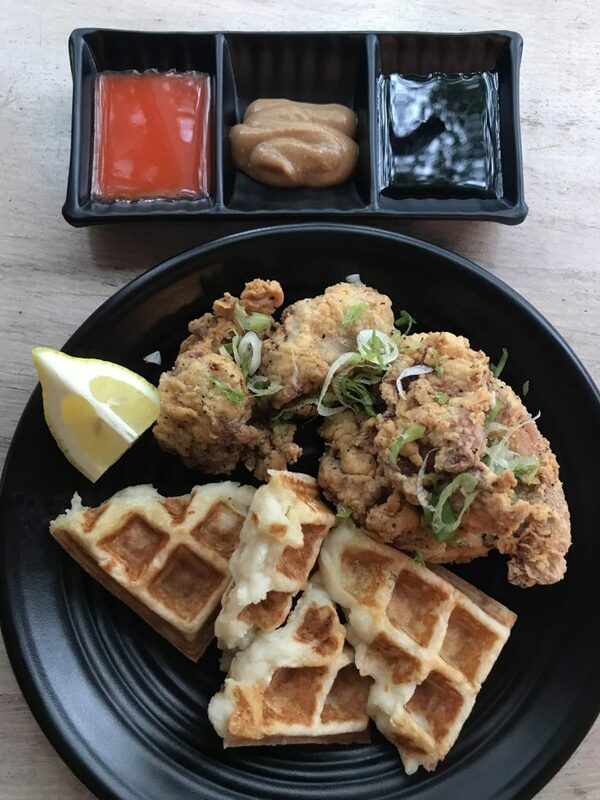 Their dish is Japanese-inspired, using chicken karaage & mochi waffles. I highly recommend it if you’re visiting the area. 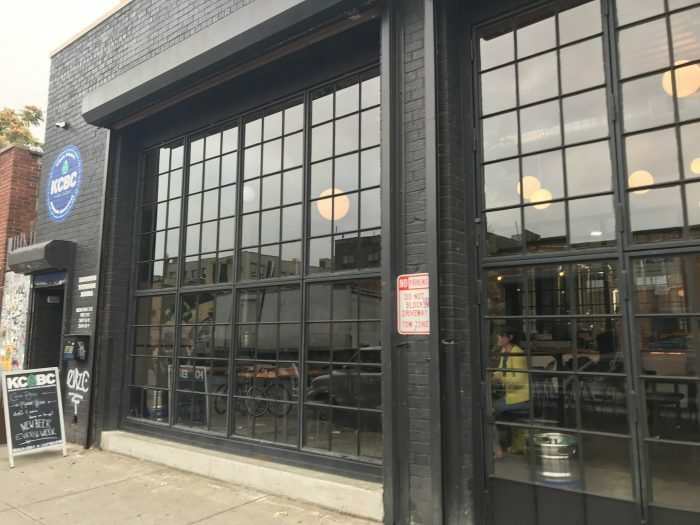 Inevitably, some other neighborhood will replace Bushwick as the cool place to be, but for the foreseeable future, it’s a neighborhood on the rise as more new bars & restaurants open up. The street art alone makes Bushwick worth visiting, but be sure to take a break from exploring to have some local beer. 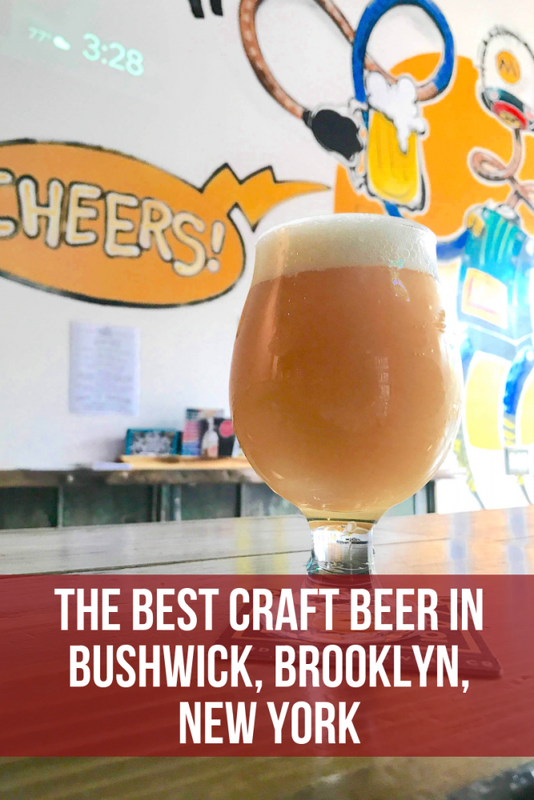 If you’ve spotted other great places for craft beer in Bushwick, let me know in the comments!